Choosing your career is something that should be done carefully with plenty of planning. You need to understand requirements to be employed in the field, whether that is by obtaining a degree in a local college mechanic program or by completing a trade school program that grants you certification when you’ve completed the book and hands-on work to show your expertise. It’s also critical that you understand exactly what the job entails since you’re going to be involved in the field for the next few decades. Before deciding that you want to be an auto mechanic, understand the demands and training needed in the following mechanic job description. What does a Mechanic Actually do? 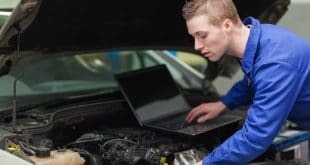 The majority of mechanics work in independent or private shops, at car dealerships or in auto parts stores to sell products that they’re knowledgeable about. After gaining some experience in the field and having knowledge about how the business works, you may decide to open your own shop and be your own boss. 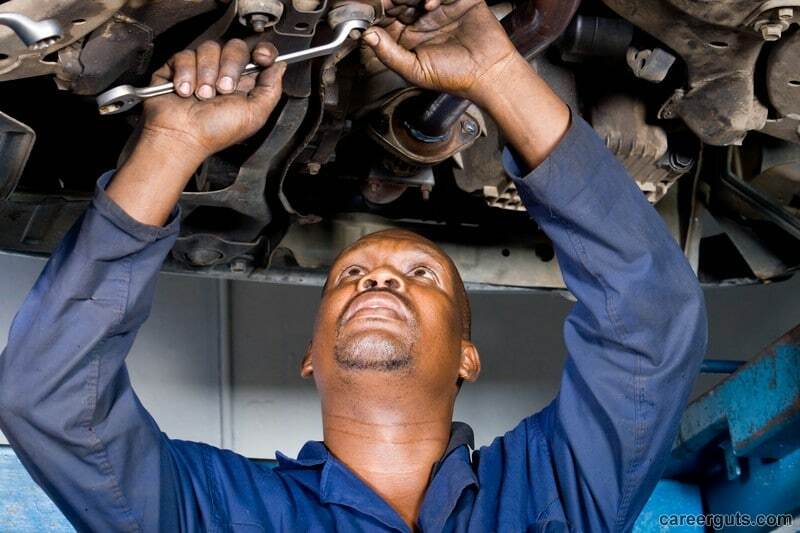 A mechanic inspects, maintains and repairs vehicles. Skills include the exterior as well as interior components and systems. Newer vehicles are becoming more computerized and require more technical knowledge to work on, but the vast variety of makes and models makes knowledge critical. Job duties include giving estimates on how much repairs will cost along with analyzing and determining the source of the problem. Most mechanics are educated in gasoline engines and can work on cars, trucks, and SUVs. Diesel vehicles don’t operate in the same manner, and vehicles running on it typically see specialized diesel mechanics when they need maintenance or repairs. Some mechanics prefer to work in a general repair environment, while others choose to specialize in something specific such as bodywork, rebuilding engines, focusing on transmission work or working with integrated electric systems. All mechanics should be skilled in basic tasks including checking and evaluating tire pressure, changing oil, replacing spark plugs and wire sets, and inspecting the brake system. Mechanics need to be able to work independently to complete a task without constant guidance and be able to have fine motor skills for working with small parts. They also need to lift heavy parts at times and should be familiar with a multitude of tools used in the automotive repair industry such as air tools, lifts, and tire mounting and dismounting equipment. The field is physically demanding and requires standing for long periods of time, dexterity, bending, lifting and paying close attention to small details. Educational requirements vary from one employer to another, but in general ASE certification is ideal to get hired. Completing a certification program or obtaining an associate’s degree from a college in a field directly related to automotive technology can also aid in finding a job. With many individuals interested in becoming automotive mechanics, the field can be very competitive and have certification or a degree, along with experience, can go a long way in securing a position in the field. The salary for an automobile mechanic is in the average range in comparison to other fields. The projected job growth in the upcoming years is about 5 percent, which is average in comparison. It’s expected that the field will continue to grow as vehicles become more complex and varied with electric and hybrid models becoming more common. On average, an automotive technician can expect to make around $18.50 per hour, with rates varying depending on location and how much experience you have. Additional salary increases are possible through promotions, such as becoming a manager of a group of employees or a specific department. Being knowledgeable about the mechanic job description gives you information about what to expect if you want a career in the field. Take the time to carefully analyze your options and decide if this is the career path you want to take. It truly is a life changing decision.